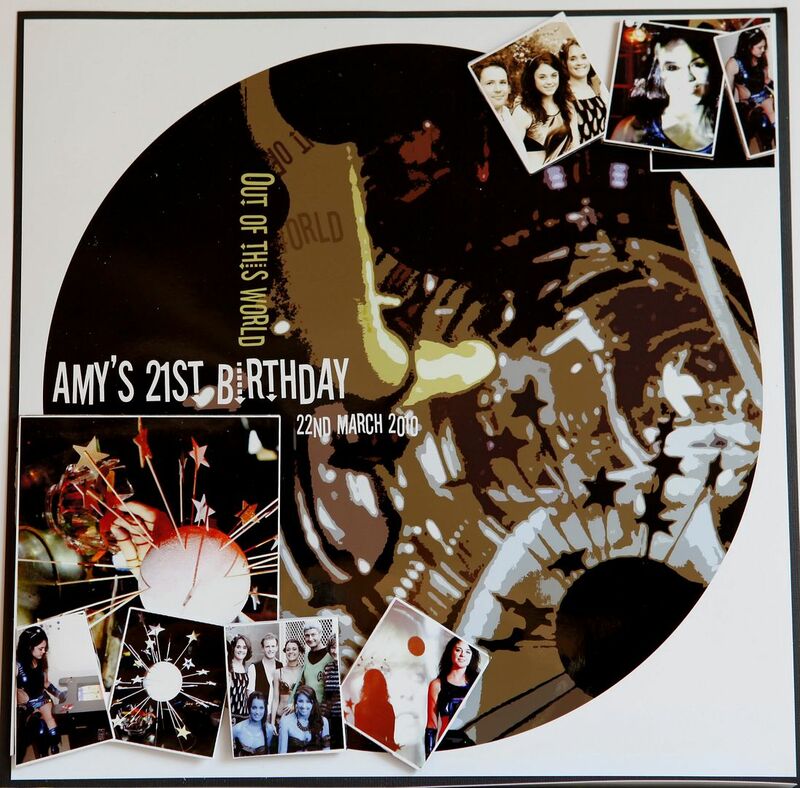 My beautiful daughter Amy turned 21 last year and here are the LO from her party. As you will probably gather from the pictures the party was themed 'Out of this World'. Amy was a gorgeous alien in a blue dress, Kirsty was Princess Leah and Will -Hans Solo, Nick was Dr Who, Tiffany and Tayla were Avitars, Brad was Captain Kirk and I was Captain Kirk's wife. 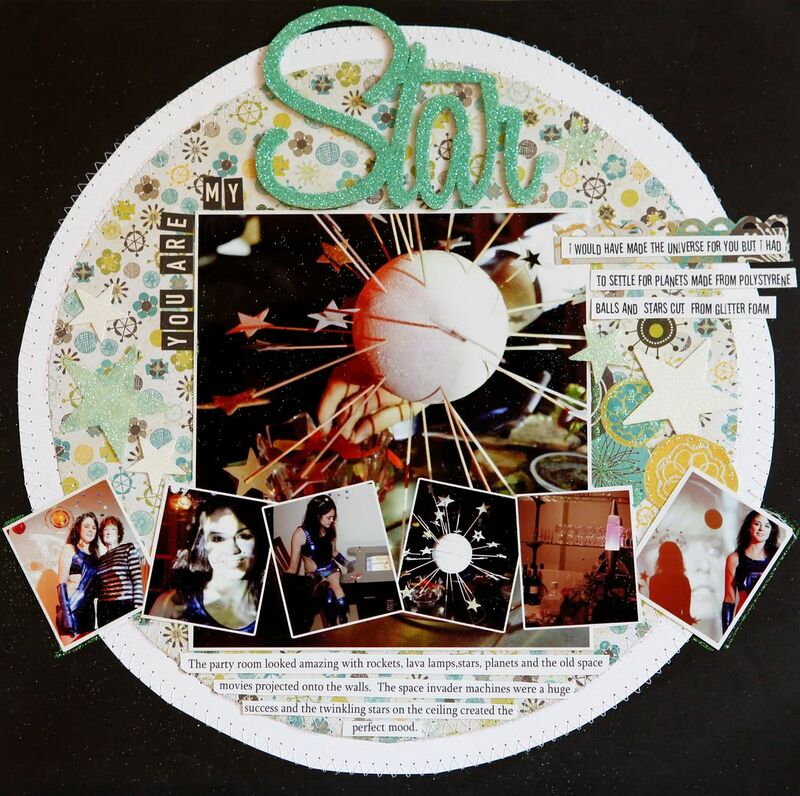 The 'circular theme' and the 'Crate Paper' papers and embellishments were used as I felt they were 'spacey' and 'Out of this World'. Wow I am sooooo! excited and honoured. 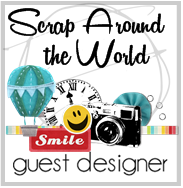 I have just received an e-mail from lovely Kristy Evans (the editor of Scrapbooking Memories) asking me whether I would like to participate in the Papercraft Showroom which is an expo that travels around most of the Craft Expos In Australia until July 2011. I have included relevant parts from the e-mail below. 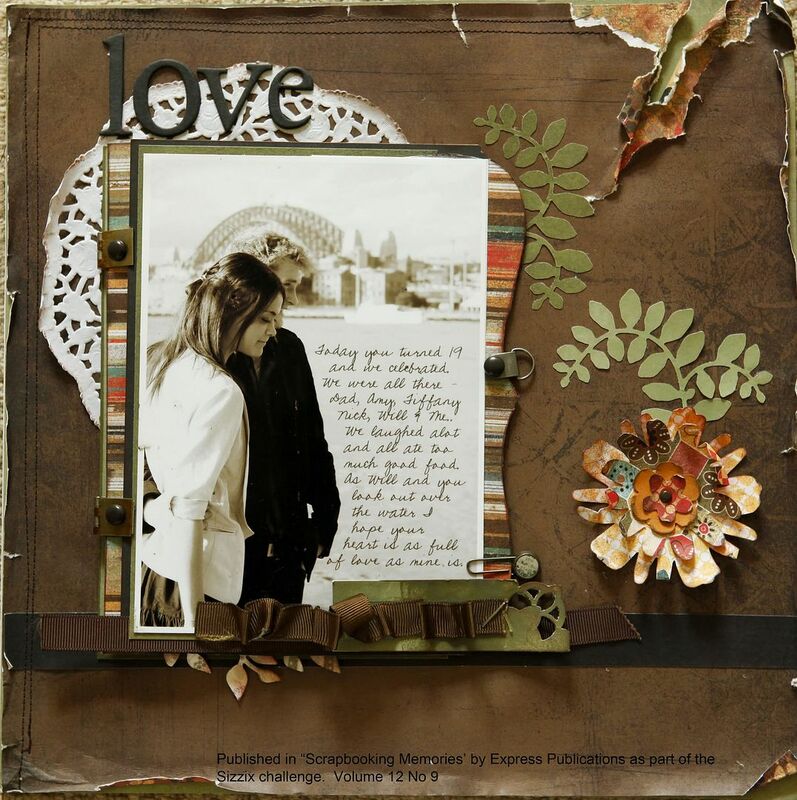 Scrapbooking Memories would like to invite you to be a part of a display – the Papercraft Showroom – that will travel around most of the Craft Expo’s in Australia in 2011. 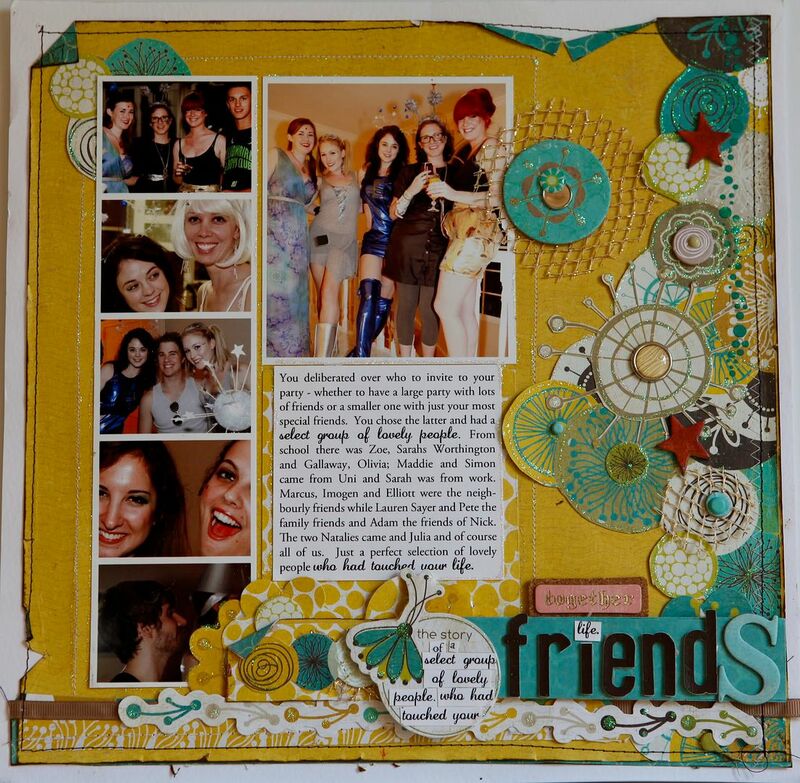 This will be a special display of scrapbooking talent on show for all the public to see. It will then travel around with the Craft Expo’s until July 2011 and it will be returned to you before September 2011. 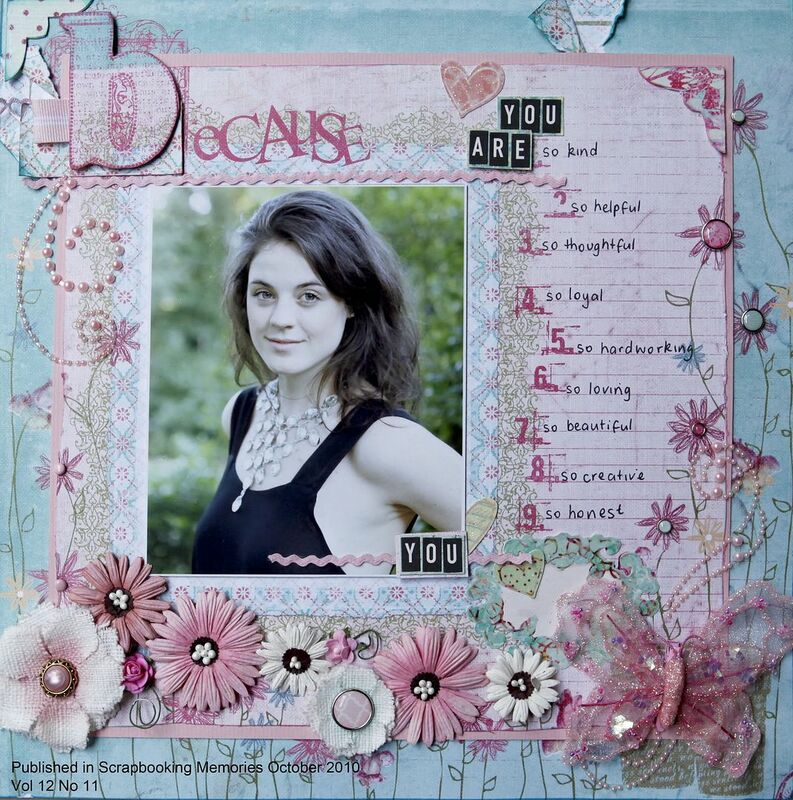 Your layouts will be presented in gorgeous shadow box frames with your name and project name clear for all to see. 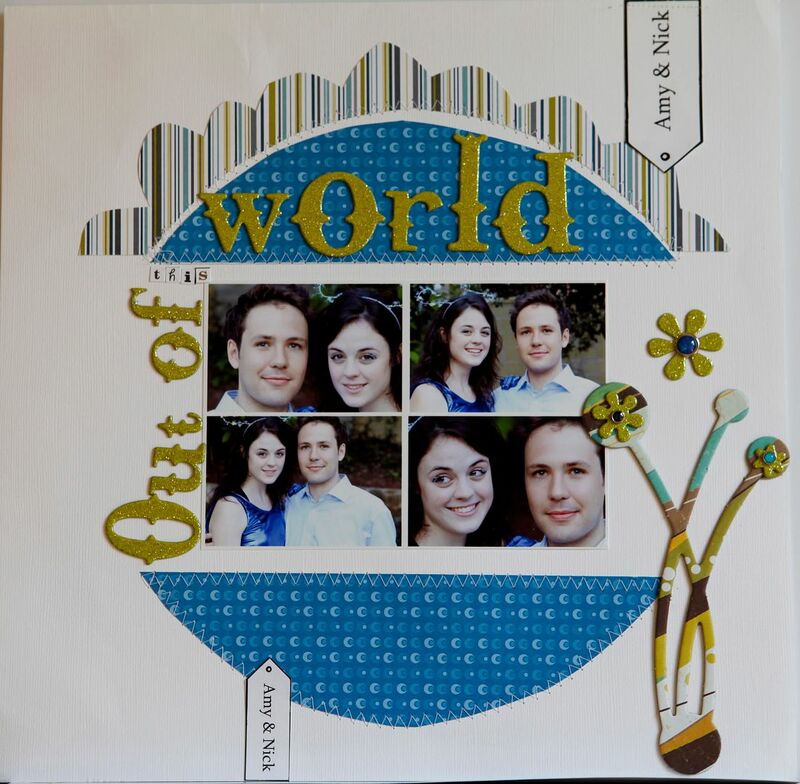 We think your scrapbooking is worthy of a special place in our Papercraft Showroom and hope you will agree to take part. 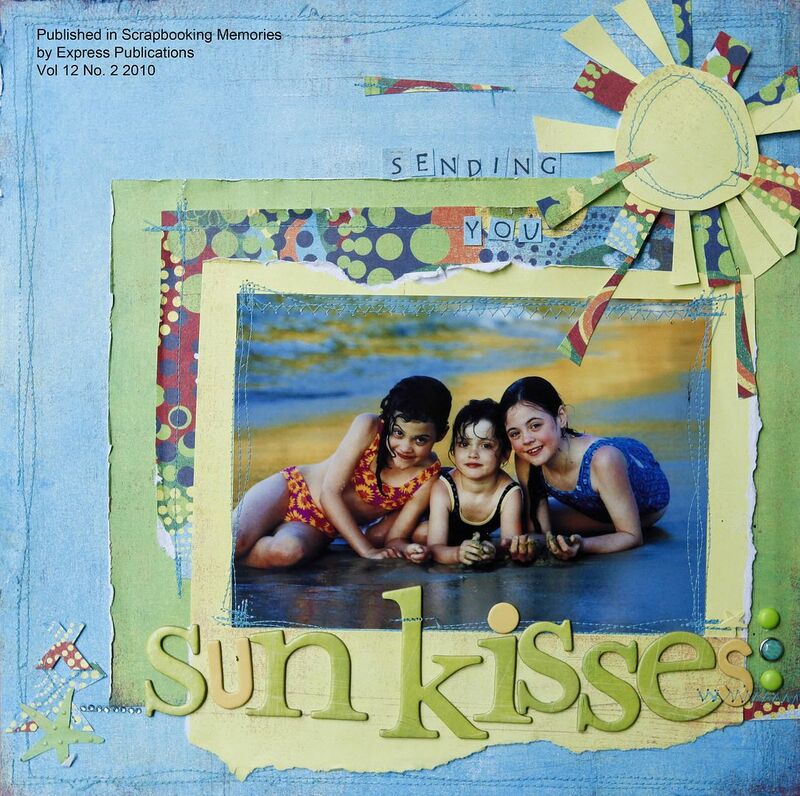 Thank you so much to the wonderful team at Scrapbooking Memories. Your magazine is just amazing - so informative, inspiring and beautiful and thank you sooo! much for letting me be part of it. Catchy Crafts is my favourite Scrapbooking store of all times. 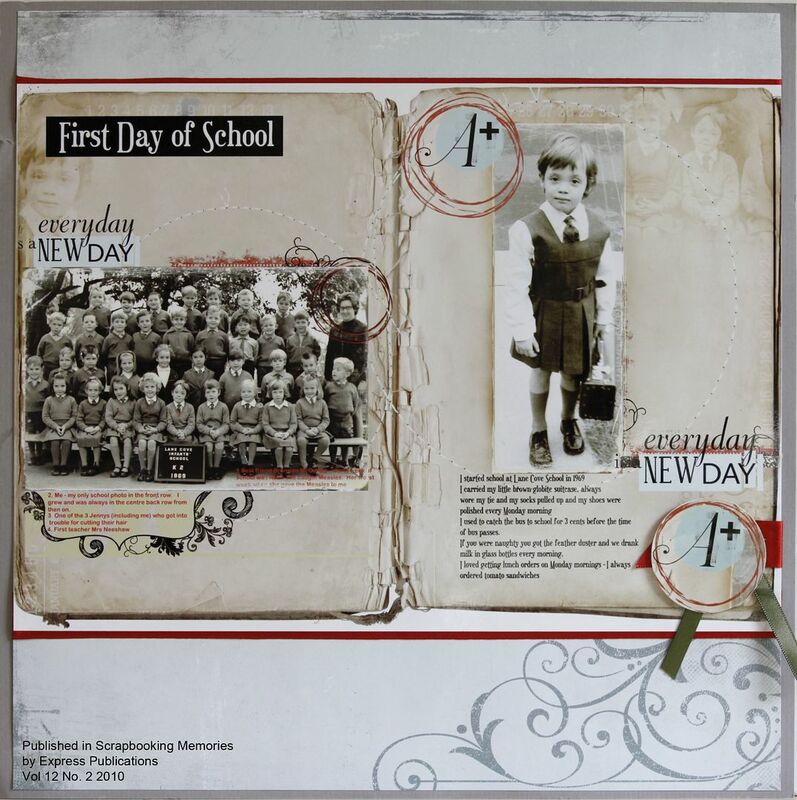 It is an absolute scrapbooker and stamper's delight with a glorious range of paper crafting products. They have very kindly made me their featured Artist. Fifteen or so of my recent layouts are on display and they ran a little section on me in their newsletter. I feel very privileged and honoured. 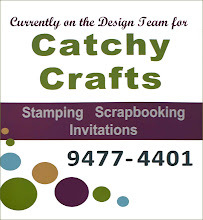 Thanks Catchy Crafts - especially Maria who worked so hard setting everything up and the wonderful job she did with the newsletter. 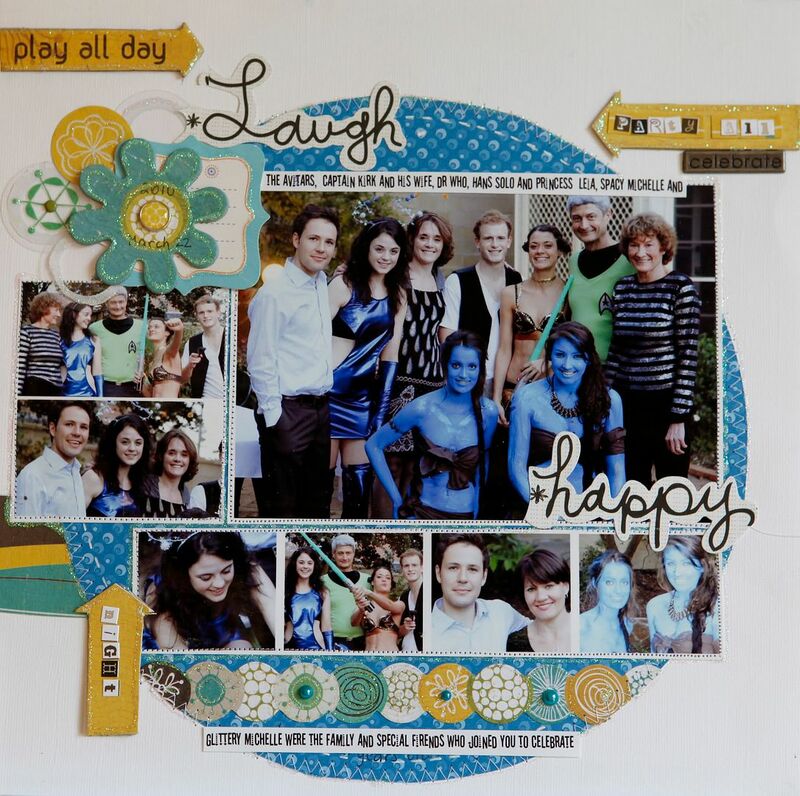 Visit some blogs and find a whole on-line community of fun and talented papercrafters. Catch up with us at www.catchycrafts.blogspot.com and we also encourage you to visit Cookie Aguilar's blog at www.cookieaguilar.blogspot.com to see what our clever Cookie has been up to as she often participates in on-line challenges and comes up a winner! 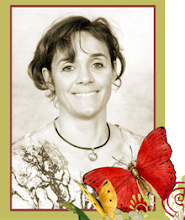 Jenny Garlick has recently set up her wonderful blog http://www.jennygarlick.com/ and we would definitely recommend you take a peek . Check them out for news and inspiration and make 2011 the year you try something new. Thanks again to Dina and the Catchy Crafts Team. If you haven't been to CC it is absolutely worth a visit. See their details below. I found the most delightful photo of Brad (my husband) when he was 8 years old. It is particularly special for many reasons. Of course because it was one of the rare photos of Brad with his dad and brother before they were both untimely killed. On a happier note it is special just because it is so charming. The family are dressed so smartly for Church. Hazel has on the cutest hat and such a hip mini. Brad and Mark are very cute in their jackets, long socks, smart shorts and freshly shined shoes. Mark's little jacket is done up with the shiniest buttons and the boys have their dashing short back and sides. This certainly was a photo worth scrapping. I also took a photo of Tiff on Christmas day where I felt she looked so classically elegant. I had a little play in photoshop and placed a sanded overlay onto the image and the hints of some text. I was pleased with the results and I felt it worked well with the soft beautiful teal greens of WP Life's Portrait papers. A bit of tearing, inking, painting and alot!!!! of flowers later I came up with this Layout. Look how cute Tiff is nestled in amongst all the flowers. 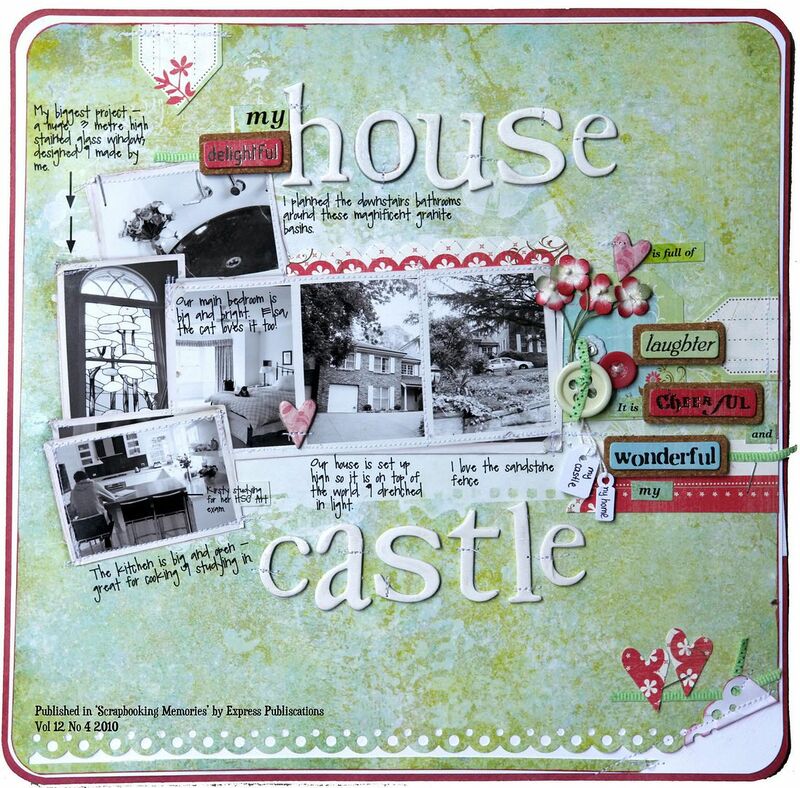 I was looking on the wonderful Dusty Attic website and I show that some of their DT were using templates to display the details of their work in. I have just made my own template. See what you think. If you would like the psd file of this I will happily share it with you. Just e-mail me on jennyg@asquithvet.com.au if you are interested and I will send it to you. That's all for now folks. Keep scrapping. Wishing you all a Happy New Year. I hope that you had a good night last night and that you are feeling nice and relaxed today and enjoying the wonderful sunshine. 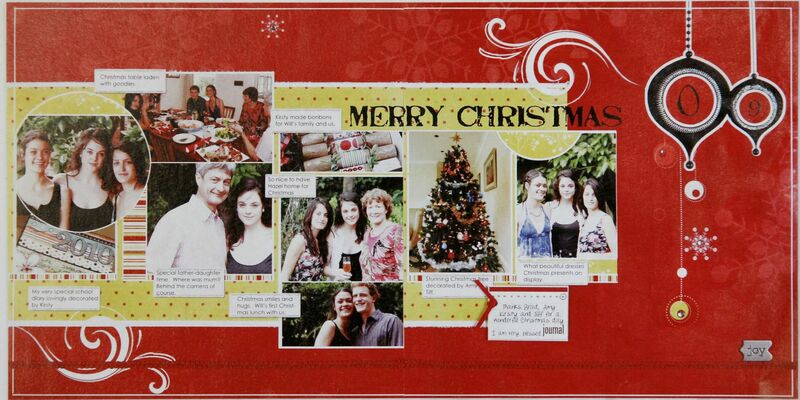 Well the deadline for the Webster's pages design team was 31st of December at 12 midnight - and my submission is in. Now it's just fingers crossed and lots of wishing. This is a hybrid project focusing on the beautiful birds that Webster's pages has. I also really love the filmstrip from the Hollywood Vogue collection so you can see that on the left. 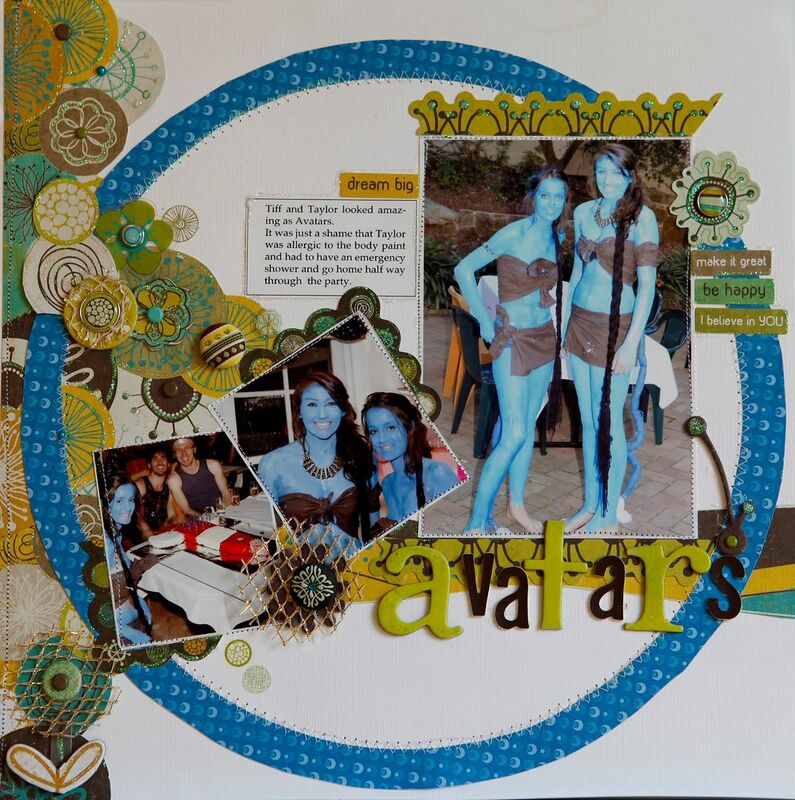 My second submission was a Layout entitled 'Sisters'. I really lovethe palette of the Hollywood Vogue range so I used the soft apricots offset with olive green. I used some of the papers from this range to make the flowers and I was thrilled with the results. 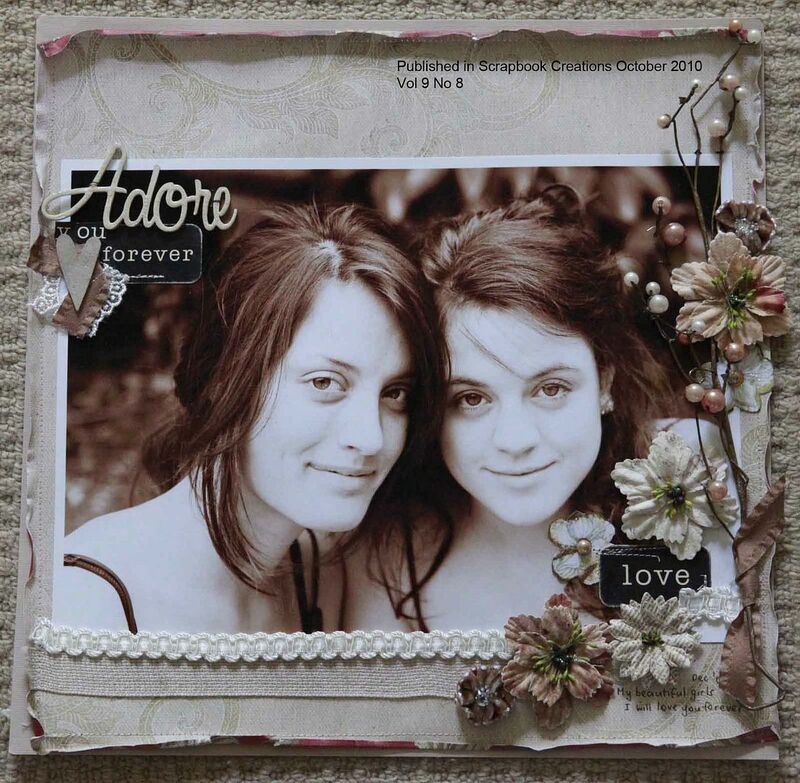 I placed a sanded overlay onto the photo of my two girls to add to the slightly distressed and vintage feel of the work. The peacocks were included because they are just divine. Well I gave it my absolute best shot so fingers crossed that Brandin and the WP team like my work. There are so many talented scrappers out there so I know the competition is extremely tough - but I can only but hope.